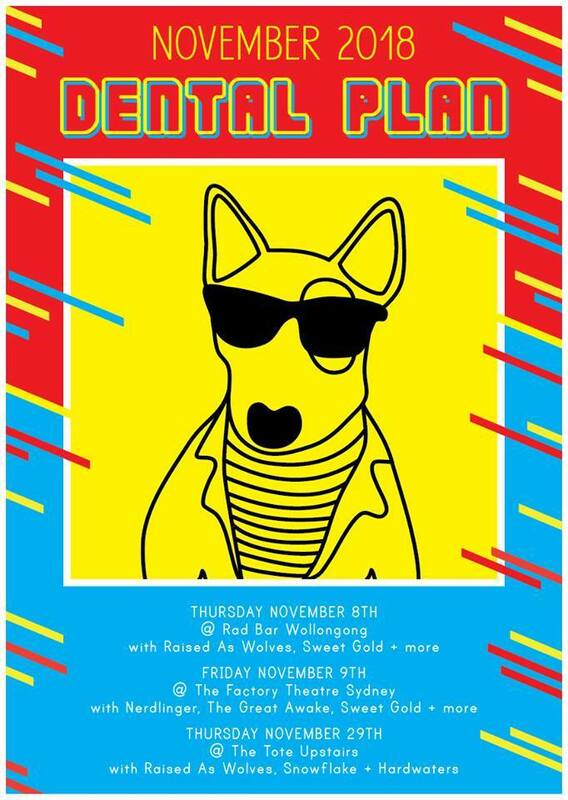 Starting out red hot with their self titled EP Dental Plan, Melbourne based band Dental Plan are taking on three shows across November. With an indie rock sound, influenced by the masses of grunge and rock that came from the ‘90s, this local band is switching up the sound of rock. Would you like to give some background on how Dental Plan came about and how you all met? So Stu the drummer and myself (Niam) have played in a series of bands together most of our lives pretty much. We had another band named Laura Palmer that was going for awhile then that kind of finished but Stu and I were still jamming with my housemate Jo (bassist). We are all just friends and hang out all the time and we just decided to start a band together just for fun and see what we could do. You have your self titled 3-track EP out already and you’ve only been together for a short time. How did you manage to pump out the EP so quickly? It was actually supposed to be a demo, and we liked how it sounded so we decided to release it as a three song EP. It just came together really easily… Since Stu and I have been playing for awhile, it came together quite easily because we know how each other play. What would have been your favourite moment recording the EP? I think it was probably having Jo our bass player in the band. She added a bunch of backing vocals to some of the songs that sounded really cool—there is a couple where she sings lead too. When we’ve practised we didn’t practice the back-up vocals so when we went to record it added a lot more when she started singing. It was just like “Woah” and it added a lot more to the songs. It was awesome cause we thought “We can do that live” and it’s real fun. We also recorded live which worked well. We recorded all the instruments just in a room as if we were just practising and it’s the first time I’ve actually done that—recording live, just being able to play live made it sound really cool. There was something there we were all pretty into. As a band, or personally, what would you say are the main influences of Dental Plan? It’s pretty hard to say, we just like a lot of punk, indie music, alternative rock and rock … I don’t know [laughs]. ‘90s stuff as well as it’s the era we all first started getting into that kind of music—like Nirvana, Smashing Pumpkins, all that, and then punk after that. Someone at one of our shows said we sounded like Nirvana which was cool because that was one of the first bands we got into when we were kids. So I think we’re just influenced by good guitar music, I don’t really want to name a band because I don’t really know what we sound like yet. What are you listening to currently? Older bands that influenced you? Or some newer bands as well? I listen to heaps of music. Joyce Manor, a guy called Mike Krol that I discovered recently, he plays a lot of garage rock. I also have a soft spot for the new Trophy Eyes album as well, I know those guys and they’re really nice. I like heaps of different stuff. 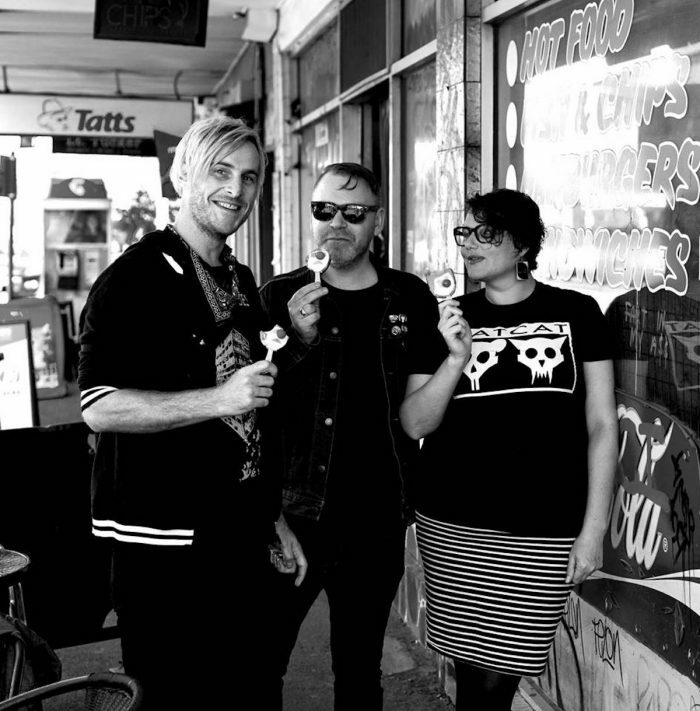 Check out Dental Plan’s debut EP here.